Association Members must be logged in before accessing the Association area pages. All Students and Practitioners of ACE are eligible for FREE Membership. 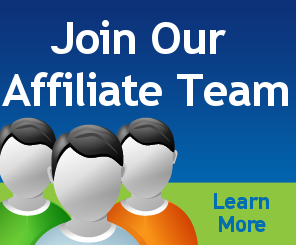 Membership to this association verifies globally that you are committed to your growth both professionally and personally and to being accountable for that growth in the Alternative Health Practitioner Field. 1. Provides a place for Alternative Health Professionals to List their Business/Services through a central directory. 2. Provides a place for members to share opportunities for 'activities' that will benefit other members and their personal or professional development. 3. You can display a "Association Member" seal on your website or promotional items to relay you are a committed member who actively seeks to enhance their skills and knowledge both professionally and personally. 4. Provides networking opportunities through our ACE forum and sponsored events. 5. Provides information pertaining to relevant events, advancements, and legislation in the field of alternative health coaches. 6. Offers a platform for ACE Trainers and Practitioners to promote your ACE events, conferences, workshops, trainings, seminars, webinars etc which you are personally self-directing through our Partnership Program and Events Calendar. 7. Obtain discounted rates on Future Association sponsored events. 8. Access Association sponsored workshops, seminars, trainings, webinars to members wanting to earn additional points/credits. Each Association Member is able to submit their business information to the publicly accessible directory. By listing your business you make it easier for clients to find a practitioner in their country of origin. It also provides a way for your peers (other practitioners) to connect with you for Strategic Alliances and Joint Venture projects that will enhance your businesses. Each member should begin by adding their profile information to the directory which lists their credentials, website, contact information for business and let's the public know you're a member of IAACE in good standing. As a Member, you are eligible to gain client referrals that come across the ACE website. If a client is looking for a practitioner, we will match the client to a practitioner. Extend your reach, grow your business, and discover new ways to establish your expertise on a global level. The partnership program is geared to working with you as Members to produce and develop your niche expertise along with ACE and is a great joint venture partnership. Learn more about this program and be involved!! Learn more about what is required to renew your membership. As an Association, we want to adhere to a common code of professionalism that gives credibility to the industry of integrative coaches and practitioners and provides a confidence for clients. The following links provide an overview for this criteria for all Association Members. Please read and understand that by becoming a Member of this Association, that you agree with these codes, procedures and the fulfillment of Personal and Professional Development goals.